The 2018 Financial Disclosure Statement (FDS) to be filed in 2019 will be available not later than February 15, 2019. 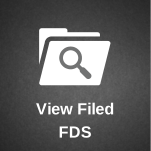 All members and designated employees of the Ohio General Assembly, former members and designated employees who served at any point in 2018, and designated employees of the state’s legislative agencies annually file a FDS with JLEC. 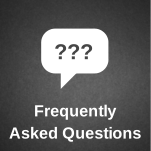 A FDS requires filers to disclose information regarding their personal finances and fiduciary relationships for the previous year. Financial disclosure statements assist members, employees, and the public to identify and avoid potential conflicts of interest. Assurance that you have completed all necessary sections. Immediate receipt showing that your statement is filed. 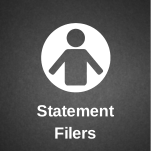 Print, view, or save a time-stamped copy of your completed statement. In subsequent years, your financial disclosure statement is pre-populated with information from the immediately prior year’s electronic statement. You will only need to update your statement before filing. Payment of filing fees can be made via credit card. The financial disclosure requirement is separate from a candidate’s requirement to file campaign finance reports. Questions regarding campaign finance should be directed to the Ohio Secretary of State. Filed campaign finance reports may be searched through the Secretary of State’s website: here. 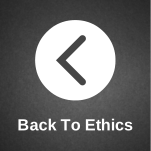 Local, county or state public officials and employees who were not a member or employee of the General Assembly during the preceding calendar year and who are not currently a member of the General Assembly may file a FDS with the Ohio Ethics Commission. Adobe Reader is required to access JLEC’s financial disclosure statements. Current Or Former Member Of The GA Not Appearing On Primary Ballot: May 15, 2019. Legislative Employees: May 15, 2019 (or w/in 90 days of employment or promotion). Appointees to the GA: 15 days after qualifying for office. Current or former members appearing on a 2019 primary ballot: 30 days before the earliest election at which their name appears on the ballot or May 15, 2019, whichever is earlier.